On the Vale of Glamorgan railway line midway between Ewenny Quarry and Southerndown Road Station there used to be two small quarries on land owned by the Duchy of Lancaster. The quarries were located close to the ford and stepping stones near Castle-upon-Alun and had two sidings off the railway line into the quarries. The larger of the two, Duchy Quarry, had the longer siding and this is the quarry that was in production the longest although it is difficult to determine the exact year it went out of use. As a boy I can remember hearing work going on and can also just remember the signal box used to control rail traffic although I was very young. The signal box was grandly named Duchy & Lancaster Quarries and controlled the two crossovers and the two sidings, six main-line points in all plus the signals needed to control the traffic. According to one source the box was part-time and only used when rail movements were required which, judging by the size of the quarries, couldn’t have been very often. Nowadays there’s not much line-side evidence to suggest there was ever a junction here, the crossovers, sidings and box long gone. The Duchy Quarry is accessed fairly easily and is the home of a local shooting club, the whole quarry littered with brilliant-orange clay-pigeon fragments. The course of the siding can still be clearly made out and a few remnants could be found lying around, rail chairs etc. I say could, as I haven’t visited for about twenty years so the situation may have changed. The second and smaller Lancaster Quarry is completely different, access to that involves a bit of scrambling to gain entry without trespassing on the railway and it is completely overgrown, fighting your way through the undergrowth is difficult. In 1988 on a site visit to this smaller quarry I was surprised to find a few relics from the past, a couple of narrow gauge tramway items. Of presumably two foot gauge (I didn’t have a tape measure) I found three skip bodies and one skip chassis; why these should survive when the rest of the quarry machinery was scrapped though is a bit of a mystery. Back in the 1980s I chatted to someone who had once worked at the quarry and he categorically stated there was never a narrow gauge tramway at either of the quarries, this photographic evidence suggests otherwise. 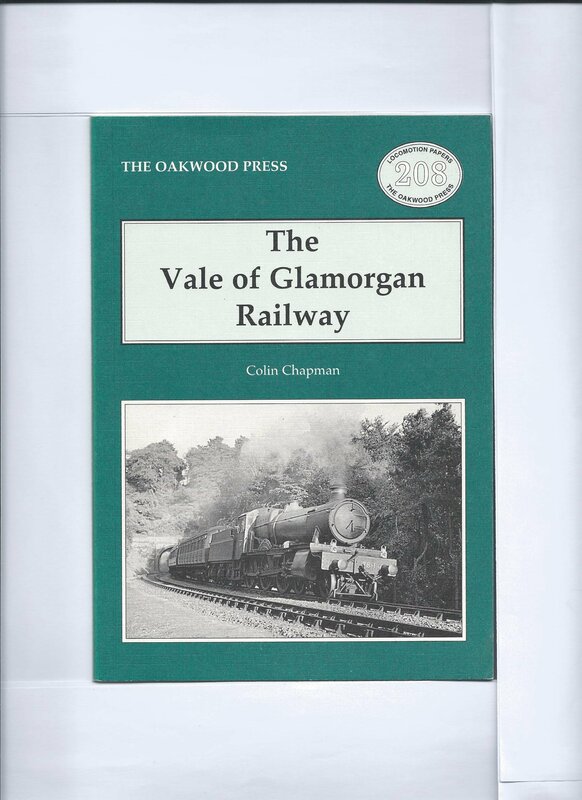 According to Colin Chapman in his Oakwood Press publication, The Vale of Glamorgan Railway, published in 1998, the quarries first opened in 1920 and I quote: “A private siding agreement had been entered into with the Duchy Lime & Limestone Co Ltd on 8th May 1920, the siding itself opening on 13th December 1920. It was inspected for the Board of Trade by Colonel Pringle whose report, dated 10th April 1921, noted that the siding was served by a double junction off the main line, under the control of a new box, named ‘Duchy Quarries’. Under a further agreement dated 24th July 1928, a trailing connection was put in off the down line for the Lancaster Lime & Limestone Co., the signal box being renamed ‘Duchy and Lancaster Quarries’ in the process. The Lancaster siding was removed in March 1953, with that to the Duchy Quarry being taken out of use and the signal box closed on 31st March 1957”. I would have been eight years of age in 1957 so it is probable I do have a distant memory of the box and possibly the sounds I seem to remember may have been the dismantling of the operation. On page 162 of Colin Chapman’s book there is an excellent photograph of a passenger train passing the quarries and signal box, copyright prohibits me from showing it here. I have reproduced the 1953 6″ OS map below and highlighted the sidings and signal box. If you click on the map it will take you to the NLS web site where you can see it in context with the rest of the area. I’m surprised that you didn’t take it home! You surely don’t think I didn’t consider it? Actually it would have been very difficult to remove without breaking down a fence and trespassing on the railway. I remember growing up in St Brides Major , I would visit the old working,s with my Father and Grandfather also we would have school walks from the village to the area. We all used to asked who worked the quarries, but never got a full answer? I did hear one man that was a farmer from Blackhall Farm (Tudor) that he saw 12 men lift a steam engine to put it back on the rails? ?